With the tree lighting ceremonies complete, it is officially the holiday season in Tampa Bay. Storefronts are decorated with fake snow and garland, rooftops full of colorful lights and breath-taking projections... and Santa is walking about in his socks and sandals. There's nothing better than the season here in paradise, and with a wide variety of events, shows, and productions there are plenty of opportunities to celebrate. Here are a few of the best events in Tampa playing this week. The New York Times calls it "the best musical of this century." The Washington Post says, "It is the kind of evening that restores your faith in musicals." And Entertainment Weekly says, "Grade A: the funniest musical of all time." 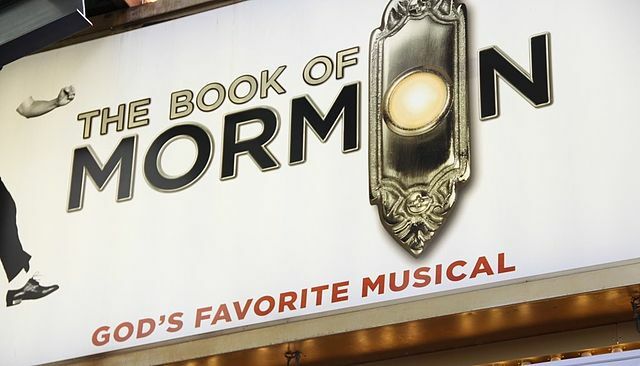 The smash hit Book of Mormon, the nine-time Tony Award-winning Best Musical, returns to Tampa this holiday season to bring world-class production value and outrageous comedy that will have you singing "hello!" Following the adventures of a pair of missionaries sent around the world to spread the Good Word, this comedy is great for a date night or a good laugh with friends. This production contains explicit language. 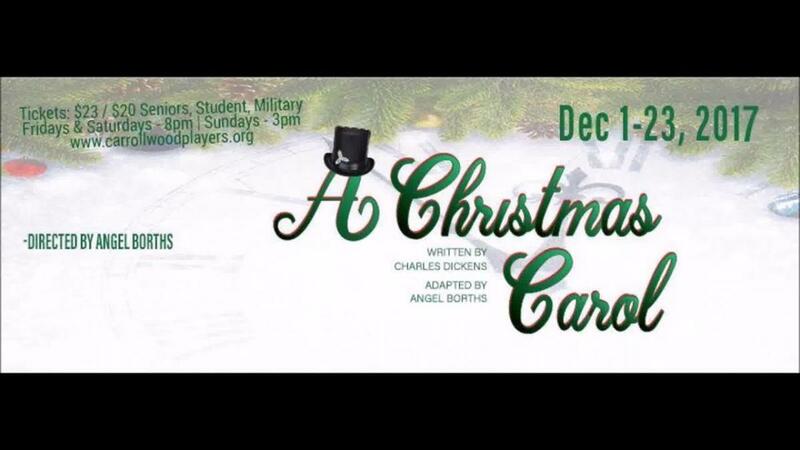 Directed by Angel Borths, a holiday classic adaptation of the story of Ebenezer Scrooge's journey from "bah-humbug" to a charitable human when three spirits show him the true meaning of life, love and happiness on Christmas Eve. 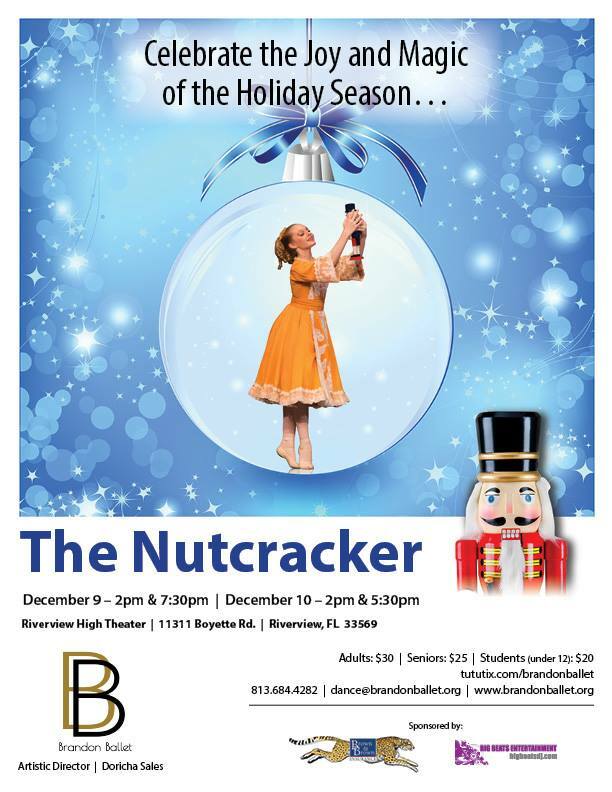 This performance runs Thursday-Sunday through December 23rd and has a special holiday discount for children under 12 on Fridays. This show runs through December 23rd. Come see this empowering original play about the lives of Betty and Harold Taylor, the parents of the playwright Fran Powers. It's 1950 in San Diego, California and Betty, a waitress and single mother, is working to support her two daughters. When Harold, a sailor, walks in for lunch, the two are forever connected. This show runs through December 17. This funny, long-improv spectacular is purely spontaneous fun. This holiday-themed improv will make you laugh so hard you cry! The Box Theatre is conveniently located in University Square Mall. Wednesday, December 6 | 7:30 p.m. | Free! The University of Tampa's Symphony Orchestra performs their final concert of the year. Susan Robinson, conductor. Thursday, December 7 | 7:30 p.m. | Free! The Florida Orchestra - Cheers! For The Florida Orchestra's 50th anniversary, Tampa Bay's own celebrates the season by playing holiday favorites including selections from The Nutcracker. Part of TFO's Casual Happy Hour Concerts presented by Smith & Associates Real Estate and co-sponsor Cigar City Brewing. Bars open at 5:30 and include a meet-and-greet with the musicians. 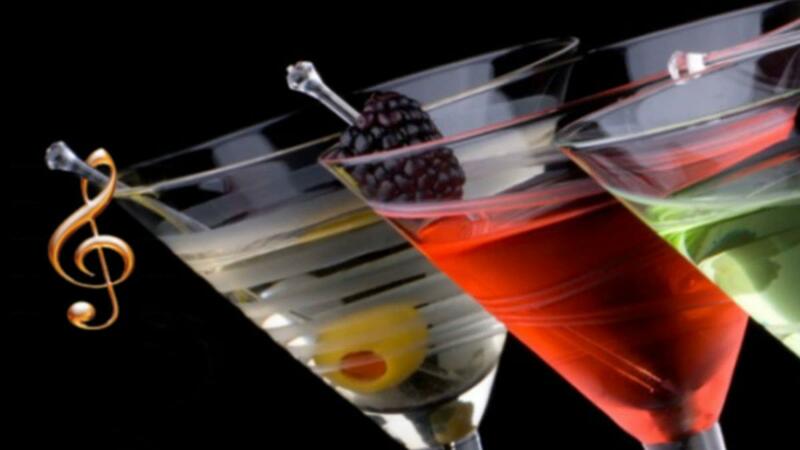 Cigar City beer and Tito's Handmade vodka beverages will be served. The music department of the Patel Conservatory will celebrate the holidays with the season's greatest tunes. Seven vocal arts choral ensembles, string chamber ensembles and the jazz ensemble will perform in this one night only event ringing in holiday cheer. A audience sing-along and post-show treats will wrap-up this evening of music. Ring in the season with this choral holiday favorite from one of the best classical performers in Tampa. Conducted by Nancy M. Callahan with full orchestration and soloists. There will be no tickets for this free event with general admission and an offering will be collected during the concert. Doors open one hour prior to concert with a string ensemble playing your favorite holiday tunes at the beginning of the concert. This 24th Annual Production of the Nutcracker is filled with extravagant sets, lavish costumes and professional dancing that will dazzle adults and children alike. A wonderful ballet for the holidays, The Nutcracker follows the story of young Clara whom receives a magical wooden Nutcracker from mysterious Uncle Drosselmeyer and immediately goes on a magical journey fighting the Rat King, traveling through snowflakes to meet the Snow Queen and celebrating amongst the world with the Sugar Plum Fairy in the Land of Sweets. This ballet composed by Tchaikovsky is a holiday tradition like no other. Tickets available here. Sunday, December 10 | 4:00 p.m. | Reeves Theater | Free! The University of Tampa's Film Animation and New Media Department hosts the Black Box Festival at the Reeves Theater. Screened will be the University's best short films, including best experimental, narrative, documentary and animated films. A three-course holiday-themed murder mystery dinner that is guaranteed to make you laugh as you attempt to solve a murder while dining on delicious food. If you haven't been to a dinner theatre, this event is for you! VIP package includes a mugshot photo and preferential seating near the performance area. With so many different events happening there is something for the whole family, but don't just stop there. Explore new restaurants before taking a show and check out the nightlife after to make your day even more magical. There's nothing like supporting local art and artists in addition to dining on Tampa's best. In addition to celebrating the holidays, check out 813area for the best Things To Do in the Bay Area around Christmas-time. And don't forget to register for free on the site for the latest updates!